I recently answered a question over at SEOMOZ and weighed in with my opinion on the value of these local search/business data distribution services and the differences between their offerings. I’ll be talking more about Localeze here soon because it’s the best of the 3 in my opinion. But here are my top level thoughts regarding how these services compare. 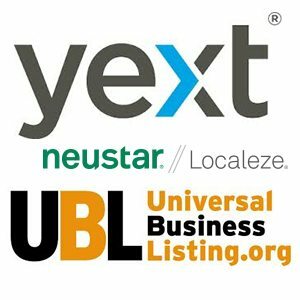 Yext is over priced but does give you nice control over you listings. 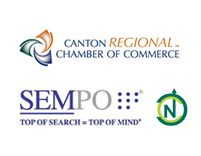 You just need need to weigh if the cost is worth the eyeballs that will ultimately find you on these secondary sites. That answer will be different for everyone. Read more about this service in detail here. Localeze is the #1 data distributor in the U.S. and they can help you build a solid core of citations. But to get an enhanced listing with categories, logo, description, etc. it will cost you $300/yr. unless you’re part of their partner program. ($3500/yr. entry fee) Definitely worth it if you are doing a large volume of client submissions. NOTE: Localeze along with Yelp provides data to Apple Maps which will be important in the future. If you have a lot of locations, manually claiming on Yelp is going to be a lot of work. With Localeze they’ll distribute your information much more efficiently. It will just take longer. UBL. I’ve tried this service and honestly I was not impressed. It took forever and a lot of the work they did was half assed. If you’re taking local optimization seriously I wouldn’t trust them to do this right — especially for the priority citations and other important accounts. If you don’t really care and just want to get something out there then this is an affordable service. I wouldn’t do it again though. Axciom. Acxiom listings are now free for up to 5 locations. Do this yourself and do it right. Don’t let UBL do it. Same thing for other data distributors like InfoGroup which is also free and easy to do yourself. If you don’t have time to do this yourself, find a reputable local SEO company (like mine) that will do it right for you. Especially the priority citations like Google, Yahoo, Bing, Yelp and others.